Hello my friends. This is a quick visit, as I have loads to do (I know you all know that feeling this time of year), so I won't waste too much of your time with chitter chatter. Here are a few Christmas cards that I have made . . . I am sooo behind with them! A couple of closer pics! More to come as I start the race of catch up! 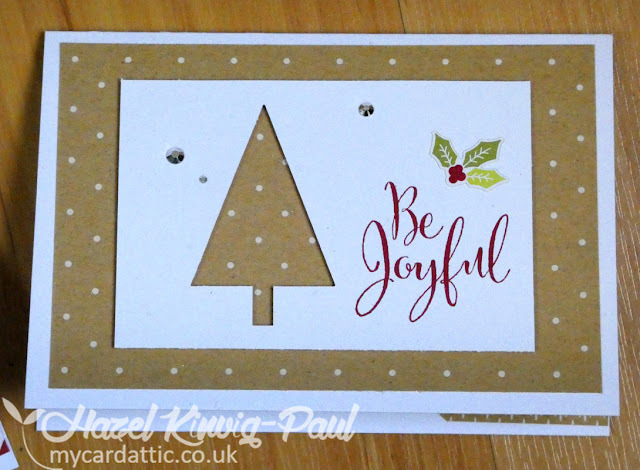 I love the patterned paper peeking through! Great designs! Fabulous cards Hazel. I love the cutouts with the festive backgrounds. Lovely cards you have made Hazel. Good luck with your catch up. 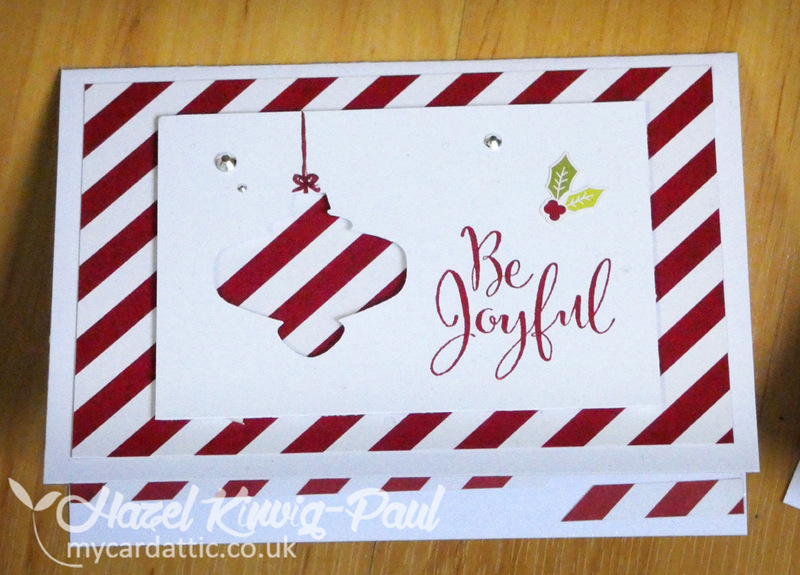 Wonderful cards, Hazel! It shouldn't be the most stressful time of the year, but trying to meet that Christmas card deadline is a killer! 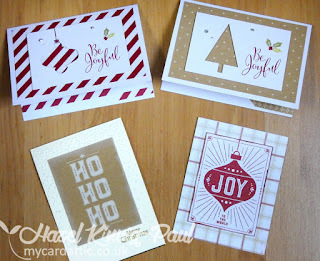 Beautiful Christmas cards, Hazel. I love their original designs. Kisses, my friend. Yes, it is a busy time of the year! That's why I am so behind with my commenting! Your Christmas cards are lovely! You make batch making look effortless... which just goes to show your talents at play here, Hazel.